Most of the Microsoft Live products, including Live Messenger, are now available in new Beta versions. Windows Live is Microsoft’s collection of applications and services that according to them will help the user to gain information and keep in touch with family, friends and colleagues he/she cares about. Windows Live was launched back in 2006 with Live releases of existing products like Messenger, Hotmail and Spaces. However, more than 40 Live products was announced at the time but only a few has seen the day of light so far and some will probably never surface at all. 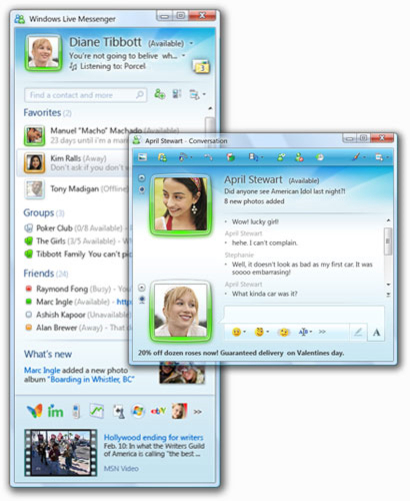 In 2007 Microsoft released a second “Live wave”, this time including brand new products like Mail, Photo Gallery, the blogging tool Writer, and several services like Events, SkyDrive, Calendar and Family Safety. Now Microsoft are building up the release of the third “Live wave” of products. 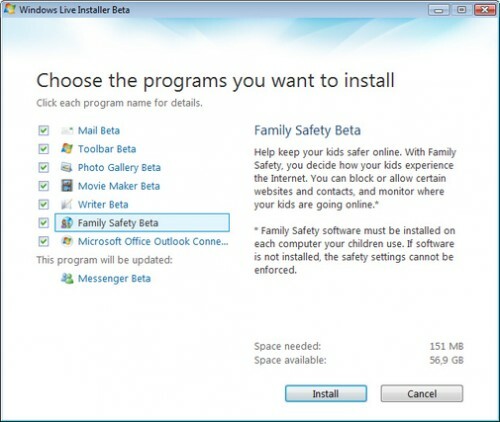 First round includes new beta releases of Messenger, Mail, Photo Gallery, Movie Maker, Writer, Toolbar and Family Safety. All beta versions are available in multiple languages on this page.